UPDATE: The transcript will be available soon. See transcripts of all prior chats below. Summary: Chat live online with Cleveland Clinic atrial fibrillation experts Dr. Oussama Wazni, and Dr. Walid Saliba on December 14, 2018. Join us on Friday, December 14, 2018, as we partner with atrial fibrillation experts from the Cleveland Clinic for another live text chat. Take this opportunity to have your questions answered by top afib experts Dr. Oussama Wazni and Dr. Walid Saliba from the Cleveland Clinic, and Mellanie True Hills, Founder and CEO of StopAfib.org. 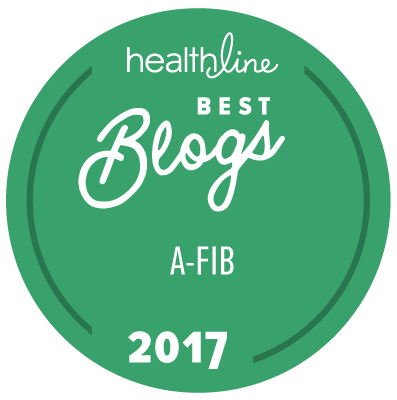 This chat is a great time to learn more about atrial fibrillation, including diagnosis and treatments. Oussama Wazni, MD, is a Staff Physician in the Cleveland Clinic Section of Cardiac Electrophysiology and Pacing. He is the Director of the Outpatient Electrophysiology Department and Co-Director of the Ventricular Arrhythmia Center. He is board-certified in internal medicine, cardiology and cardiac electrophysiology. He specializes in electrophysiology with special interest in atrial fibrillation and ventricular tachycardia ablation. Dr. Wazni is principal investigator in several ongoing research studies related to atrial fibrillation and ventricular tachycardia ablation, anticoagulation management in patients undergoing ablation for chronic atrial fibrillation, and use of low molecular heparin for bridging in patients undergoing implantation of mechanical valves. Walid Saliba, MD, is Director of the Electrophysiology Lab, Associate Section Head of the Pacing and Electrophysiology Section, Co-Director of the Ventricular Arrhythmia Center, Medical Director of the Center for Atrial Fibrillation, and a Staff Cardiologist in the Section of Cardiac Electrophysiology and Pacing in the Robert and Suzanne Tomsich Department of Cardiovascular Medicine at Cleveland Clinic. He is board-certified in cardiac electrophysiology, cardiovascular disease and internal medicine. Dr. Saliba is trained in all aspects of clinical cardiac electrophysiology and pacing, including catheter ablation of complex arrhythmias, implantation of cardiac pacemakers and defibrillators, placement of left atrial occlusion devices and extraction of implanted pacemaker and ICD leads using laser technology. His specialty interests include Atrial fibrillation, ventricular tachycardia, abnormal heart rhythms, supraventricular tachycardia, epicardial ablation, biventricular pacemaker, catheter ablation, lead extraction, implantable cardioverter defibrillator, pacemaker implant, atrial fibrillation ablation, and left atrial appendage occlusion. The Cleveland Clinic doctors will be joined by Mellanie True Hills, Founder and CEO of StopAfib.org. To register, click the blue Register Now button on the Cleveland Clinic Atrial Fibrillation Chat page. This Health Chat is currently open to allow you to submit questions. Once you have registered, click the orange Join Chat button on the Cleveland Clinic Atrial Fibrillation Chat page (log in, if necessary) and follow the directions to submit questions before the chat. Please be succinct in asking your questions. We will try to answer as many questions as possible during the chat.